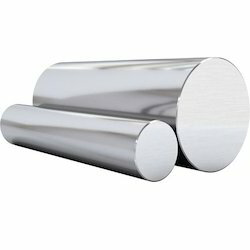 We have excellent links with heavily reliable manufacturers in the industry and they provide us wide ranges of industrial stainless steel bars, stainless steel round bars, stainless steel hex bars, stainless steel flat bars, stainless steel square bars, etc These Bars are highly demanded by our global clients due to their excellent features like corrosion resistance, superior quality, economical prices, longevity, high compressive strength and durability. They are regularly tested on international parameters in order to ensure our clients high quality products. We are looking for enquires from South East Asia region. We are offering 174ph Round Bars. 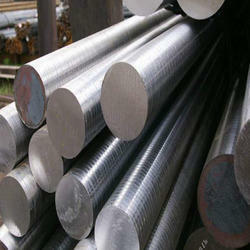 17-4 PH round bar is a precipitation hardening martensitic stainless steel. 17-4 is used where high strength and good corrosion resistance are required, as well as for applications requiring high fatigue strength, good resistance to galling, seizing and stress corrosion. Suitable for intricate parts requiring extensive machining and welding, and/or where distortion in conventional heat treatment is a problem. The corrosion resistance of 17-4 is superior to that of hardenable straight chromium grades such as 416. It approaches the corrosion resistance of the non-magnetic chromium-nickel grades. Corrosion resisting properties will be affected by such conditions as surface finish and aging heat treatment. Common applications include uses in aircraft and gas turbines, nuclear reactors, paper mills, oil field industry, and chemical process components. Machinability in the annealed condition is rated at 48% of B1112. Average cutting speed 80 ft/min. 17-4 is readily weldable by all the conventional processes. Preheating and post-heating practices used for the standard hardenable stainless grades are not required. 17-4 can be forged between 2050°-2150° F. Do not forge below 1850° F. Forgings are air cooled to 90° F or lower. The annealing (solution treatment) temperature is 1900° F, followed by air cooling. Maximum Brinell hardness at mid-radius is 363. Aashish Steel is engaged in manufacturing and supplying SS 316L Round Bar. Our customers can take these Stainless Steel 316L Round Bar with customization options at nominal rates. 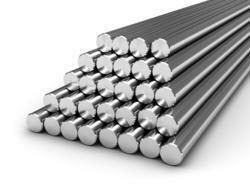 Stainless Steel Round Bars are known as the modified version of 17-4 PH developed in 60’s. the range of this UNS S15500 stainless steel is enabled with more refined which helps it to resemble to the process in which it was being developed. These products are tough, have excellent corrosion resistance and robustness. Apart from, good fabricating characteristics and temperature hardening are also important features of these products. Due to the toughness in the transverse direction of the materials these products are good option and preferably used by many industries as main alloy. 15 - 5 ph is similar to 17-4 but superior transverse ductility and toughness. A broad range of Hexagonal Stainless Steel Barss are produced by us. Fabricated with top quality materials these bars exhibit greater sustainable property, persistence and high tolerance for heavy load and corrosion. Ideally used for constructional purposes these products are available in different dimensions, sizes and at a cost effective price. 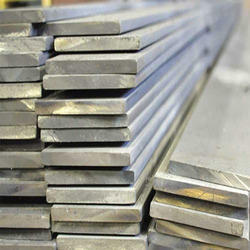 A wide array of Solid Stainless Steel Round Bars is designed and manufactured by our organization. Fabricated with premium quality raw materials with various dimensions and specifications these bars are made of international standards. Due to the corrosion resistance power, high tolerance and effective performance these products are well admired by our clients. 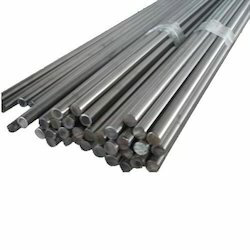 Our range is a combination of the categories of strong Solid stainless steel round bars, durable stainless steel round bars, solid stainless steel round bars and highly compressive stainless steel round bars. We specialize in manufacturing these products in a competitive price at deliver them within time frame while maintaining uncompromising quality. 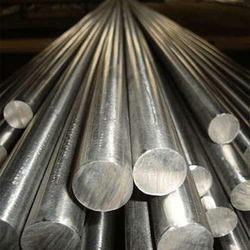 Alloy Stainless Steel Round Bars is a nickel-iron-chromium alloy with some amounts of copper and molybdenum. The nickel in this alloy makes it resistant to chloride-ion stress-corrosion cracking. On the other hand, copper and molybdenum make it resistant to reducing environments and also provide good resistance to pitting and crevice corrosion. The chromium makes it suitable for work with chemicals like nitric acid, by adding resistance to oxidizing environments. The molybdenum, is also essential for this alloy as it helps to reduce the effect of carbide precipitation during welding and thereby increasing alloy's resistance to intergranular corrosion. We are one of the leading stockiest and exporters of Super Duplex Steel Round Bars, which are imported by us directly from european and american mills. These high corrosion super duplex material are used in oil & gas, heat exchanges, aerospace, pharmaceutical, defense. Range: 6 mm dia 300 mm dia (dia in inches 10). Form: Round, (square, rectangular bar: forged). We are manufacturers and suppliers of SS 310 Round Bars. 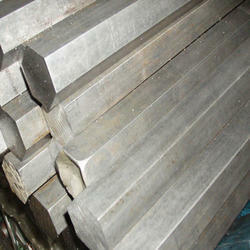 Squared Shaped Steel Bars are exclusively produced by us. Fabricated with top quality materials these bars present high tolerance to load and corrosion, high tensile strength and durability. These products are available in various sizes, shapes and dimensions at a reasonable price. All the products manufactured by us are tested and manufactured according to the industrial specifications. 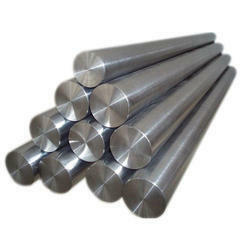 We are the leading supplier of the 316L Stainless steel Round Bar all across the Globe. 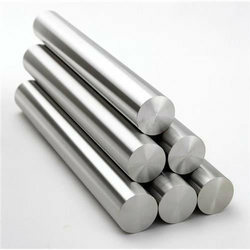 We are the leading supplier of the 3o4 Stainless steel Round Bar all across the Globe. 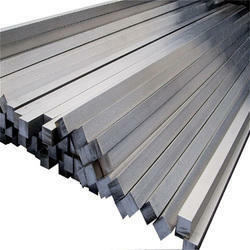 A broad range of Stainless Steels Flat Bars is developed by us which are made of stainless steel and alloy products. Fabricated with premium quality raw materials these products satisfy all the industrial standards and specifications. Ideal for the applications in constructional, engineering and mechanical purposes due to the high tolerance and corrosion resistance power.